That’s right. 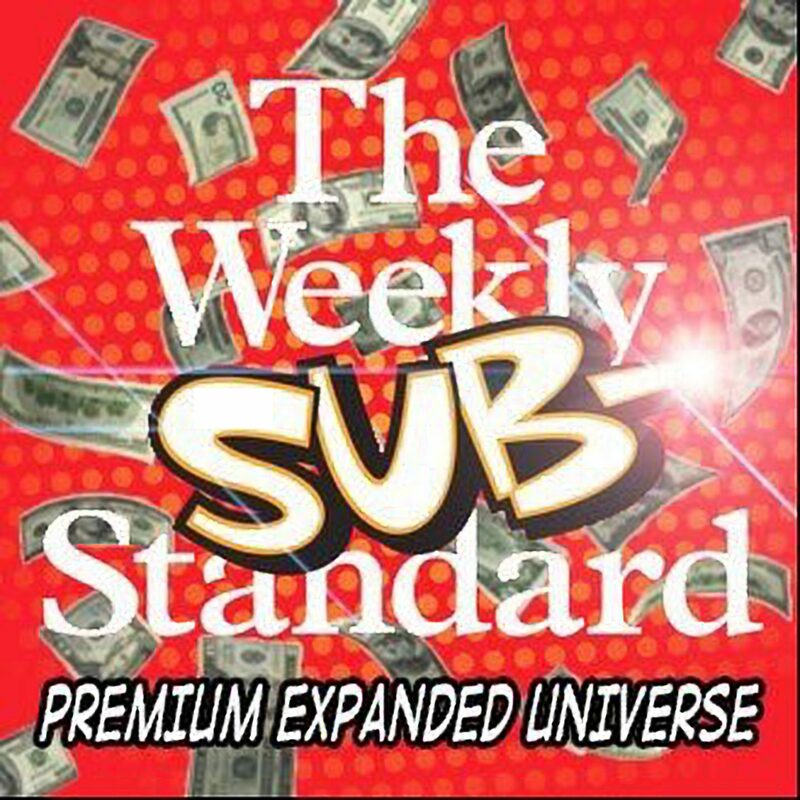 We didn’t think there would be a second episode of the Weekly Substandard Expanded Universe Podcast* either. But there is, and boy did we get a great guest for you. Shannon Last took some time out of her busy life of raising four children, doing freelance writing work, and tweeting in all caps at Roman Catholic bishops to jump on the podcast with us. And jump she did. You can find episode two by clicking this link. I recommend listening with the SoundCloud app. New episodes post Tuesday mornings whenever Thomas wakes up so we can do our live podcast. On the show this week I mentioned I would put some stuff in show notes. I don’t remember what I promised. I’m pretty sure I promised a link to the NPR story about the Shannon trolling Jonathan about dishwasher loading on the Twitter. You can find that story here. It’s in the last quarter of the episode, so you may have to scroll a bit in the transcript to find it. And if you haven’t joined Megathread, you can find it here. Be careful. It may wreck your menchies. And lastly, you should all follow Ryan and Thomas on Twitter. As for me, I try my best to distance myself from the podcast, but you’re free to follow me too.